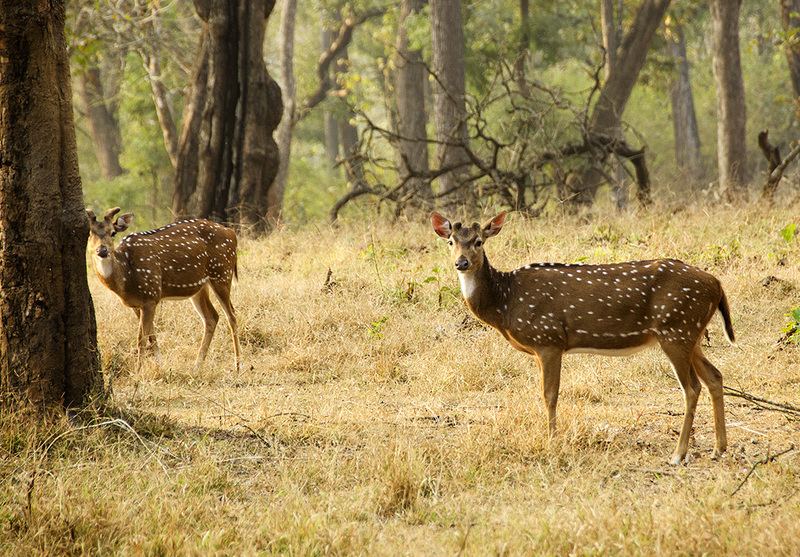 The Indian safari model prohibits the entry of private vehicles into national game parks. Even highways cutting through the large parks are sealed from 6pm to 6am. While we spied several vehicles piled up at the barricades across the main road through Nagarhole National Park well past six, and are certain that a few of the drivers huddled around the rangers trying to buy their way across did get through, it was heartening to note that the rules are enforced to a large extent. Morning and evening safaris are conducted on a set number of government vehicles staggered across several zones. The vehicles – allotted randomly to lodges depending on the number of people – sometimes arrive late, shaving off a precious quarter to half an hour from the three hour safaris, and resulting in a mad dash to hunt down big cats and elephants. Which is a pity. 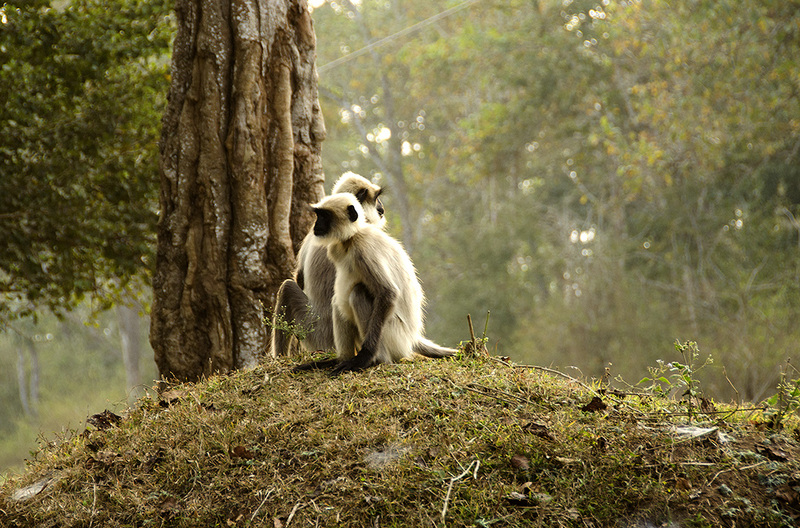 For the adage of the journey being the destination holds good as much for safaris as for any other kind of travel. 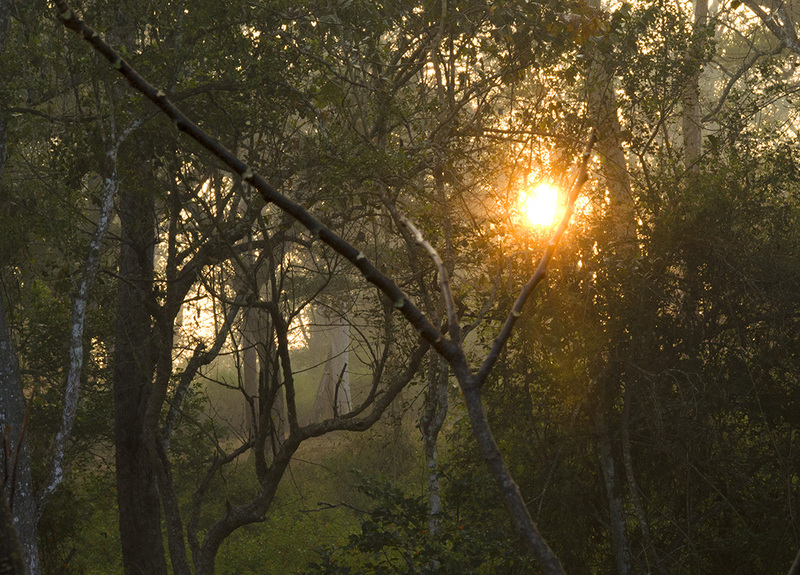 On our second visit to Kabini, we were acutely aware of what we were missing. Our day long safaris in Africa had honed our understanding and appreciation of the jungle landscape. And having sighted our first tiger on our first game drive of the trip, we were relaxed enough to take in the beauty of our surroundings. 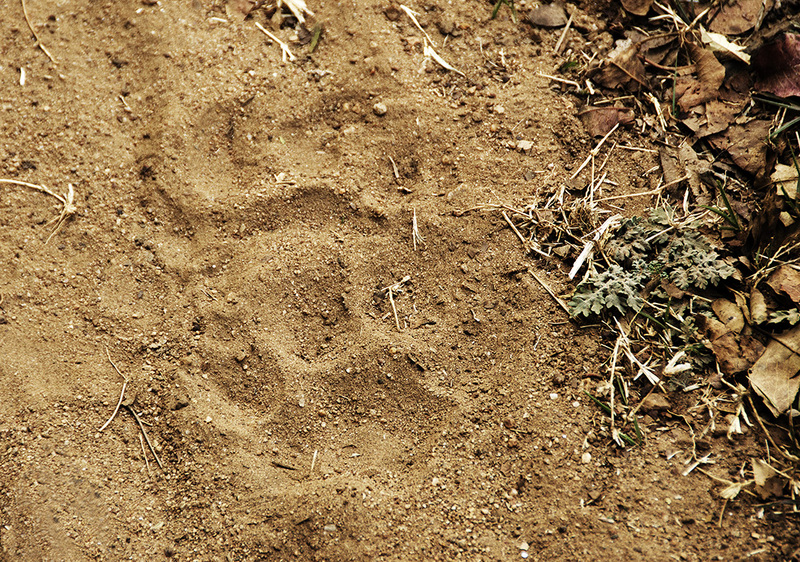 That more tigers crossed our paths over ensuing game drives was an exhilarating bonus. Thank you very much Ashwin. Alluring postcards …. 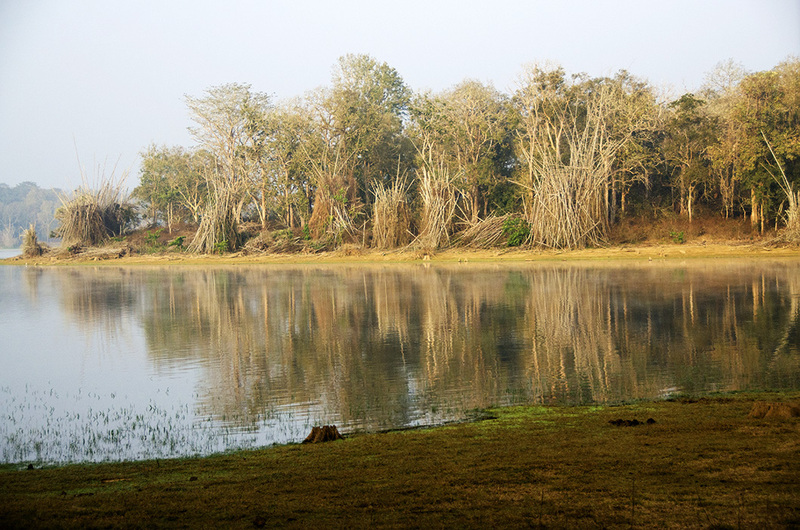 Kabini is on my list now. Good! I think it is grossly underrated. Beautiful! A wild is always enjoyable! It sure is. Thank you for stopping by to comment. Lovely postcards, Madhu. 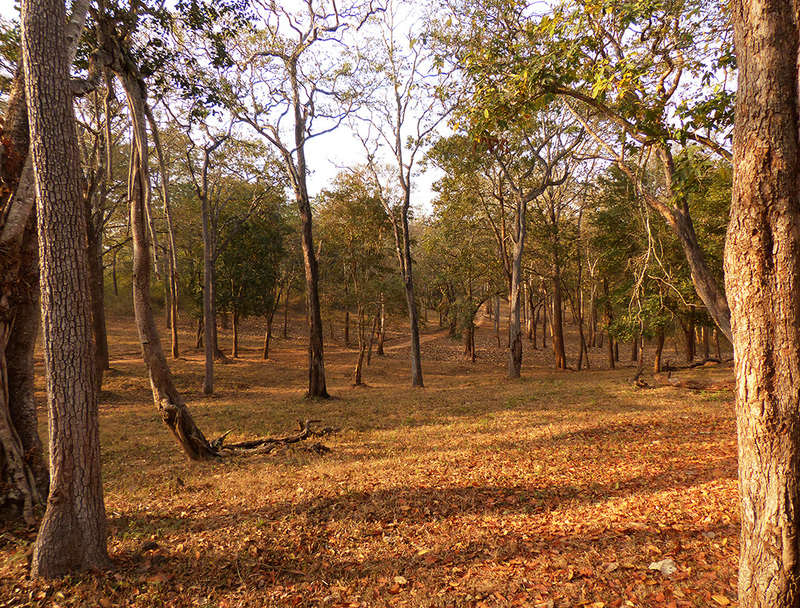 Quiet solitude, animal prints in the sand and sun through the trees capture the moment of your jungle landscape. Like you said, early sightings allowed you to relax for the rest of the experience. Thanks Lynne. Yes, the early sighting helped. We particularly loved the stillness of the early morning drives. Thanks Sylvia. I believe they are two different species. We do have an Indian Coral tree. But this is called the Flame of the Forest. Different generic names as well. Picturesque…the images remind me of autumn, I suppose it’s the hues of brown and yellow. 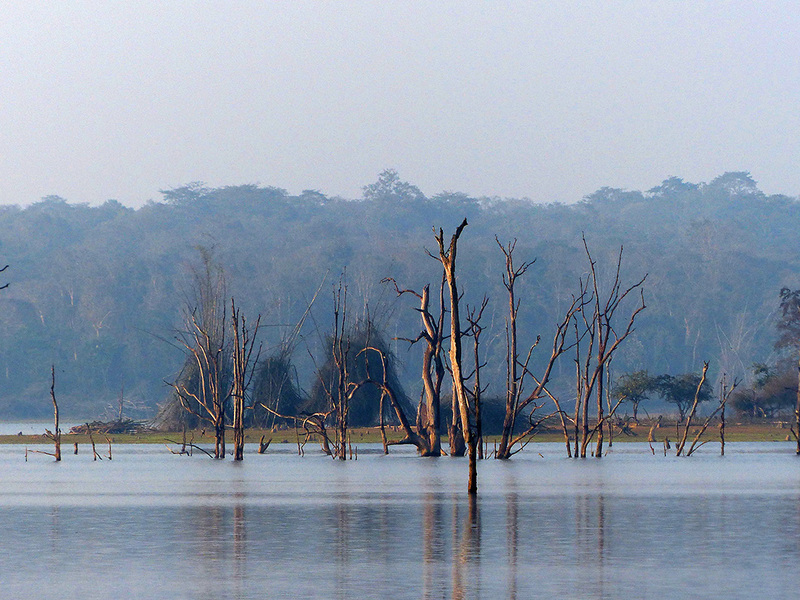 Kabini is located in which part of India? Karnataka. Its about five hours by road from Bangalore. Am guessing the colouirs change dramatically after the monsoons. One of your best series of photographs Madhu – simply stunning scenes that words can’t match. Thank you for sharing such a wonderful adventure. The essence of the place has been well captured! Wow! Such pretty landscapes! 😊 loved the photo post! Thank you for reading Raghu. Have a great day! Beautiful Madhu. 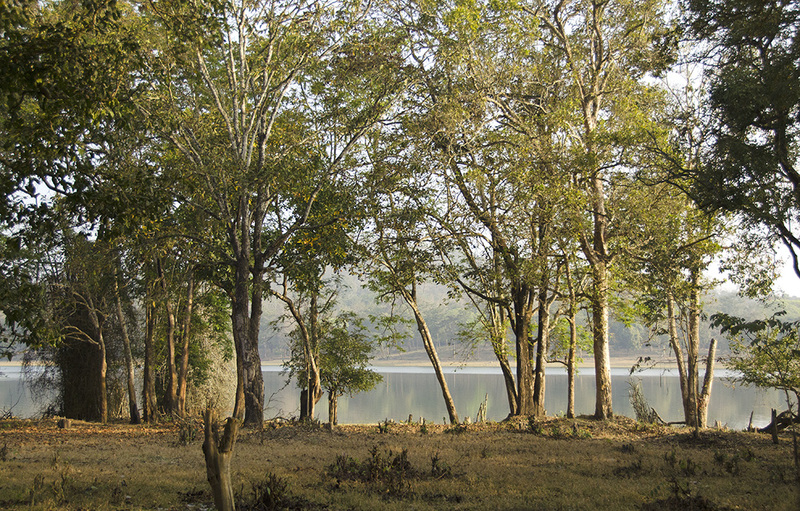 Kabini seems to be an exciting forest sanctuary. He he,a lot fewer this time Dina! I am consciously trying to minimise clutter in my gadgets as much as around my house 😀 Appreciate your stopping by. Thank you Pat. It was beautiful inside the jungle. Now this appears to be a wonderful way to spend the day! It is Frank. I envy some of our friends who own coffee estates on the periphery! Those photos are absolutely amazing; so atmospheric. Thank you! Your park shots were amazing! Loved the way you have captured in your lens. I skipped the boat ride for another game drive Nihar. Hubby went with our friend though and enjoyed it. You should have gone through, it was lovely experience, yes you must heard from your hubby…Orange County Coorg has a different theme. Wonderful postcards, great to know that the wildlife in India is looked after this way. Welcome Ibrahim! And thank you very much. Thank you Niranjan. Were able to spot big cats as well? That was a treat! Thank you for posting those. You just described my best case scenario for any dream during any point in my life. Must have been a beautiful feeling. I’d imagine that I would ball uncontrollably until I make things weird and awkward for everyone. Psssst I still haven’t seen a cat in the wild. 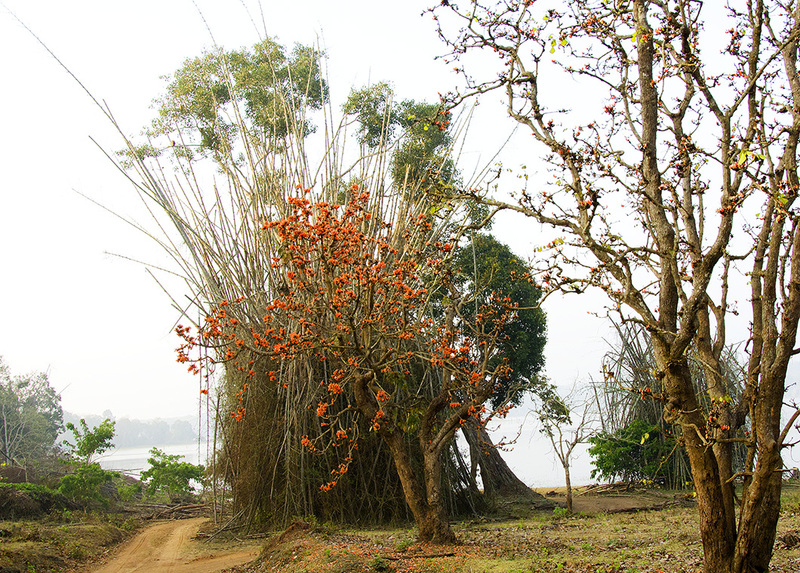 What a gorgeous place, Madhu. I’m glad that the government is working hard to preserve those areas, even if it makes it inconvenient at times for drivers. These are some fascinating shots Madhu ~ the first two really being quite surreal with the lighting ~ beautiful work! Beautiful postcards Madhu – I especially like the palette of colours that runs through them. 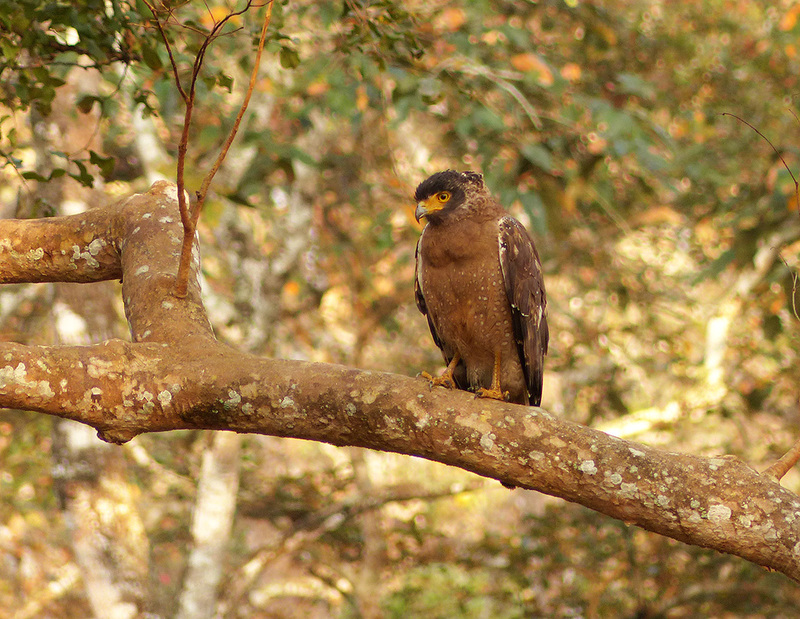 Nice shot of the crested serpent eagle. The lake-side photos look lovely. Are they all taken next to the reservoir? Beautiful shots Madhu, magnificent light! Simply gorgeous, Madhu. As usual. Coming here always means uplifted spirits! You captured glowing warm light beautifully. I love all the critters but your landscapes are just as wonderful. Are you ready for Thursday? Not quite, but will get something up right away. R had to undergo a minor surgical procedure and I have been on hospital duty. Back home and all fine now 🙂 Had to rush to B’lore for a day in between all this because son-in-law’s dad was seriously ill! Oh dear 😦 Shall we postpone it? It’s really not a problem to put it off Madhu. No, Paula. That will not be fair to your readers who might have posts planned. I’ll have something ready for you by tomorrow. Wonderful Pictures. thorough writing.. Loved it..